Chapter 2014-92 became effective July 1, 2014. Licensed Nurses (LPN, RN, ARNP) are now exempt from continuing education requirements for licensure renewal if they are certified by a health care specialty program accredited by the National Commission of Certifying Agencies (NCCA) or the Accrediting Bureau of Specialty Nursing Certification (ABSNC). This accreditation includes the CRRN credential and most ARNPs. Review the sites to determine if you are included. However, I will continue to obtain all the mandatory requirements because the Florida Board of Nursing does not have my accredited board certifications although CEBroker now has a place to enter and send your certifications. The Board of Nursing depends on CEBroker for my license renewal. I do not want to risk my license renewal while the Board of Nursing verifies or questions my credentials with RNCB. 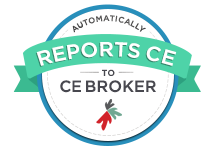 Did you know you are entitled to a free account at www.CEBroker.com ? When entering the website, click on Get Started. Select the Florida Department of Health, then the free account is Just the Basics. You can self monitor your classes or choose to pay CEBroker to monitor them for you. After you have enrolled you can review your reported contact hours. You may add hours from other states and national nursing organizations by clicking on the Report Hours/Exemptions button. There you also have the option to report your nationally accredited certifications that make you exempt from meeting the continuing education requirements, such as your CRRN Certificate. The courses provided by the Florida State Association of Rehabilitation Nurses are approved for renewing your CRRN credentials. On each certificate the CRRN Renewal Domain is listed to simplify your renewal. For other nursing certifications, all topics and speakers are written on each attendance certificate. We are here to enhance your professional success. All of the forms needed to get your district CE's approved are listed here as separate files. All of them are required for approval. You can print them off as you need them. If you have any questions regarding past approvals, contact Kathy Sobczak at the above listed email or contact number.